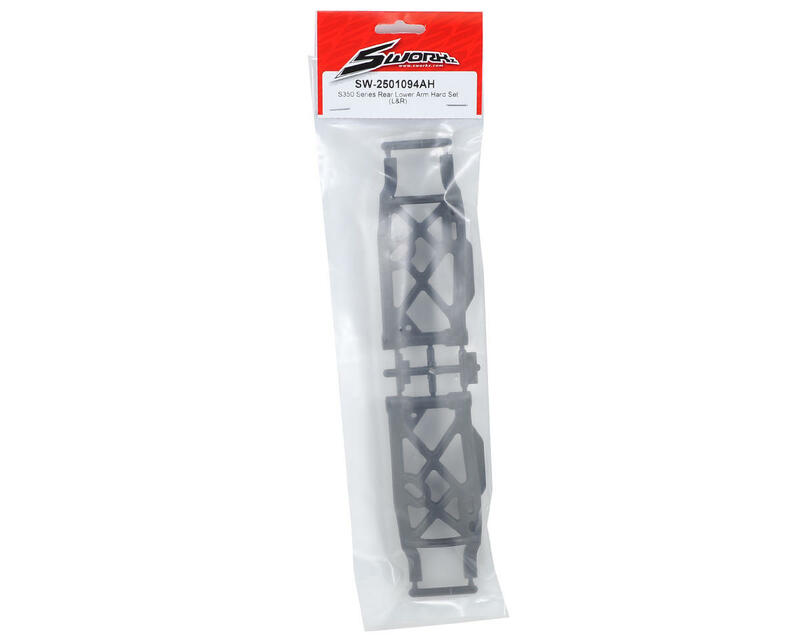 This is an optional SWorkz S350 Series Rear Lower Arm Set. This arm set is molded from hard compound plastic material that delivers reduced flex, yet remains durable under hard impacts. 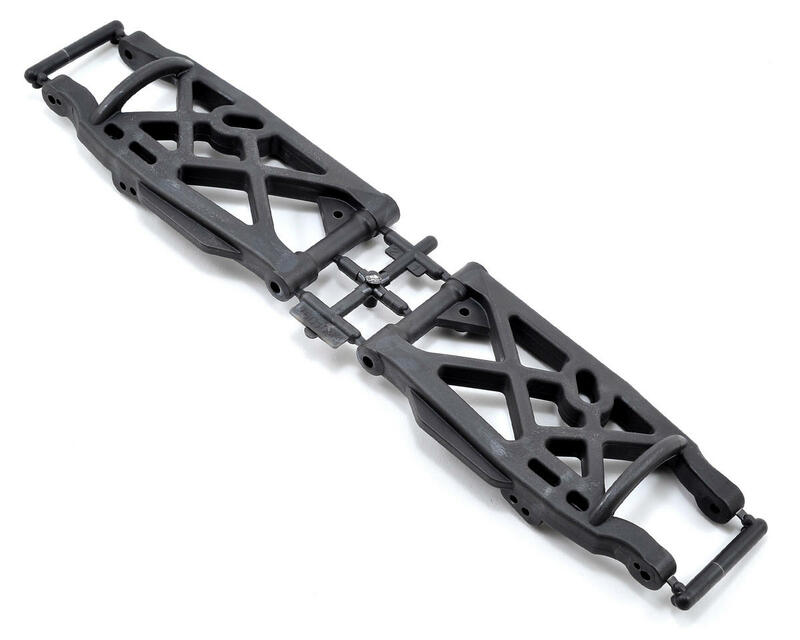 The harder compound plastic provides improved suspension response and increased corner speed. The hard compound plastic material is especially useful in hot weather conditions and is not recommended for use in cold climates.